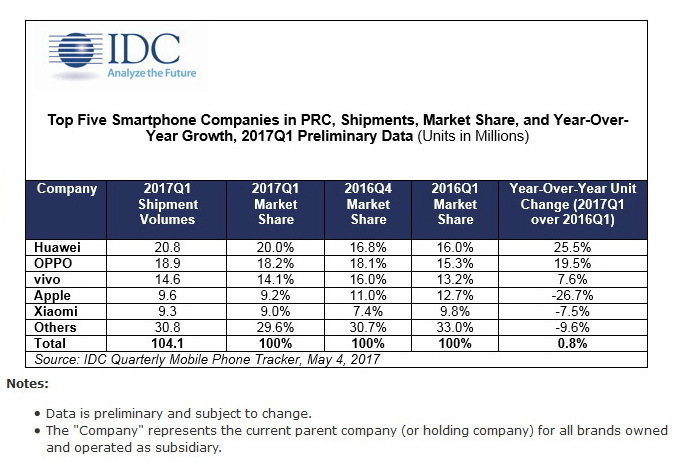 Huawei knocks Oppo back to second place with Xiaomi inching closer to overtaking Apple in the Chinese smartphone market. 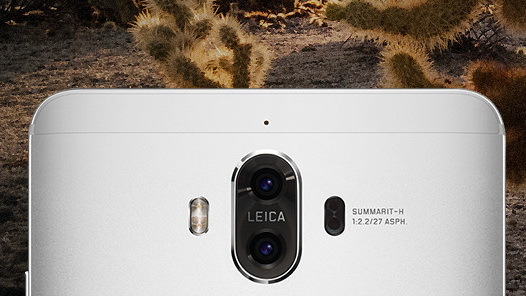 Market research firm Canalys reported earlier last month that Huawei shipped "close to 21 million units to secure an 18 percent market share" in its home territory. Now, independent market data from IDC is painting a very similar picture for the Chinese manufacturer. Whereas Oppo was ahead of Huawei during the last quarter of 2016, their positions have switched as of the end of Q1 2017. Huawei now commands 20 percent of the Chinese market compared to 18.2 percent from Oppo, 14.1 percent from Vivo, and 9.2 percent from Apple. Perhaps more notably, the Cupertino company performed quite poorly with a quarter-to-quarter market share drop from 11 percent in Q4 2016 to 9.2 percent in Q1 2017. It's possible that users are simply waiting for highly anticipated iPhone 8 that is expected to launch later this year with a brand new design and OLED display. Xiaomi is sitting in fifth place with 9.3 million smartphones shipped compared to 9.6 million from Apple. Should trends continue into the second quarter, then it may be entirely possible for Xiaomi to overtake the American company for at least one short quarter before the next iPhone becomes available.